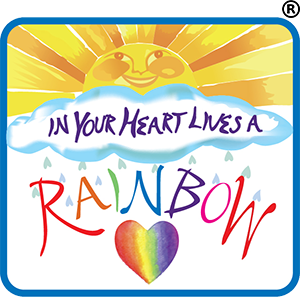 In Your Heart Lives a Rainbow, the first book in the series, is written by Karen Seader and illustrated by Valerie Lynn. We are introduced to siblings Hailey and Logan. They meet The Lady of the Rainbow in their dreams. Through her words of wisdom and inspirational songs, she teaches them the importance of smiling, being kind to others, and believing in themselves. Included with this book is a CD of songs for the first three books in the series. The first four songs (with lyrics) are embedded within this story, so children will be able to sing along. This lovely, interactive story with beautiful, vibrantly colored illustrations is a must-read for children, parents, and educators. What a terrific book with several great messages for children to learn. The main lessons I got from it were how smiling can have such a positive impact, not only on yourself, but on other people as well; that being kind and helpful to others makes you very special; and that you should always believe in yourself and be the best that you can be. All children should learn and understand these life lessons. And this book does it in such an engaging and fun way that children will most definitely take it to heart. While I thoroughly enjoyed this book, the songs are really what had me hooked and wanting more. As I was listening to the songs and following along in the book, I instantly had a smile on my face as I was singing. The songs are just icing on an already fantastic cake. Karen Seader is a brilliant author, singer, and songwriter. I would highly recommend In Your Heart Lives a Rainbow. I will definitely be reading and singing along with my daughter as she grows up. In Be Everything You Can Be by Karen Seader, readers have the pleasure of reading more about siblings Hailey and Logan and the lovely Lady of the Rainbow. 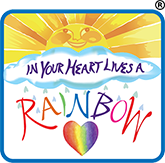 Being the second book in the series, the Lady of the Rainbow teaches these kids about the colors of the rainbow. However, it’s not just the colors that have an importance. Within each color is a very special word/phrase. She calls them “the colors of love.” The colors refer to qualities that Hailey and Logan learn to acquire: kindness, caring, generosity, respect, sharing, enjoyment, and appreciation. We then see the children bring these qualities to life throughout the story. Karen Seader has done it again. I absolutely loved the concept of connecting the colors of the rainbow to qualities that all children should learn to have. And seeing Hailey and Logan incorporate those characteristics in reality shows children that it can be easily done, even in the smallest ways. The story, the colorful illustrations, the relatable examples, and the wonderful songs all have such an impact on getting this essential message out to kids. I also like what Jilly the Rainbow Fairy represents. She is always there to remind and motivate Hailey and Logan to be the best that they can be, which I interpreted as kind of like our conscience. We know what is right and wrong, but sometimes we need to remind ourselves. No one is perfect. We all need a little guidance, even if it comes from within, and I think this is another great lesson for kids. All in all, it was another fantastic book. Be Everything You Can Be is everything I hoped for. Logan and Hailey were excited to get a postcard from their grandma and grandpa while they were in Africa. This postcard was an addition to Logan’s collection of postcards, and Hailey had her own collection of beautiful dolls. On this special postcard was a picture of the train grandma and grandpa rode and even slept in. While finding a place for the postcard, Hailey and Logan started talking about different things in the picture, wondering where they were. Then Hailey pulled one of her dolls down just as her friend Sophie rang the doorbell. Sophie grabbed the doll, causing it to fall right in the chocolate pie, and after crying herself to sleep, Hailey had a wonderful and beautiful dream. She dreamed of rainbows and The Lady of the Rainbow, and in that dream she visited many different places in the world. As before, the Lady of the Rainbow teaches her lessons through songs. One of these songs is sung in many different languages, which shows the children that they may be different from each other, but they are all connected. Ride the Rainbow will capture your child’s imagination and it will soar to worlds unknown for them. The illustrations are beautiful, and each page is full of colorful pictures that tell the story along with the words. And being a rainbow book, the colors are breathtaking. Author Karen Seader has written the songs that go along with her book series, songs that children will love to sing as they look at the book. This would be a wonderful book to use in a Kindergarten classroom, or for home school students because the kids will love interacting with the book and music.